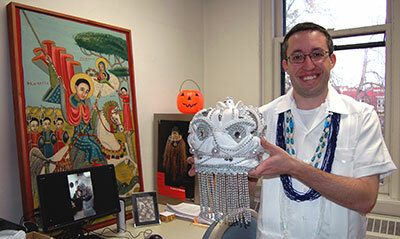 On Monday, November 10, Visiting Assistant Professor Matt Rarey brought a Brazilian crown and ritual beads into his ARTHIST 317: African Art class. 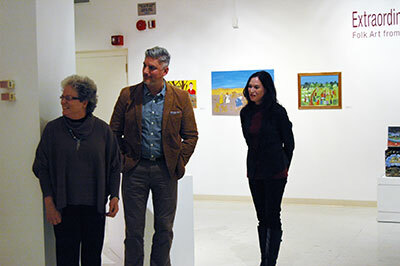 Extraordinary and Ordinary: Folk Art in the UWM Art Collection opened in the UWM Art History Gallery on Thursday, November 6, with remarks by curator Katherine Murrell and special guest speaker Jeff Jara. 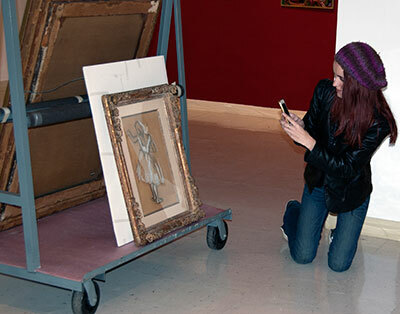 ARTHIST 102: Renaissance to Modern Art and Architecture visited the UWM Art History Gallery again this week to view objects from the UWM Art Collection. 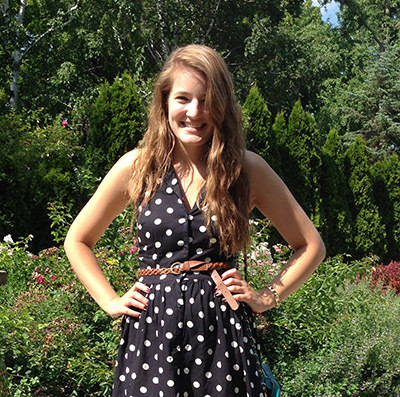 Stephanie Rhyner, a second year graduate student and teaching assistant, presented at the Fifth Annual Feminist Art History Conference in Washington D.C., October 31-November 2. 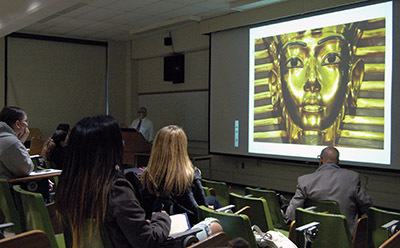 On Tuesday, November 4, Carter Lupton, Curator of Ancient History and Section Head of Anthropology and History, Milwaukee Public Museum, visited Associate Lecturer Jocelyn Boor’s ARTHIST 315: Art and Archaeology of Ancient Egypt. 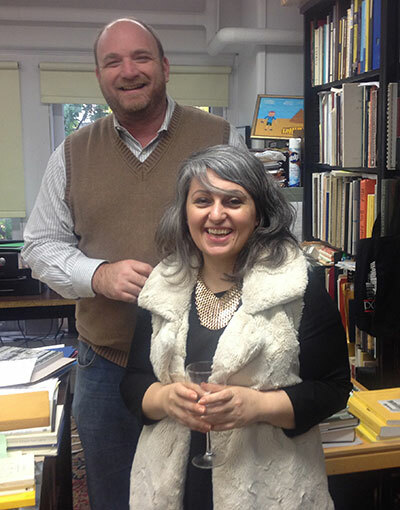 On Friday, October 31, the Executive committee of the Division of Arts & Humanities unanimously voted and recommended Assistant Professor Elena Gorfinkel for promotion to the rank of associate professor with tenure in the Department of Art History. 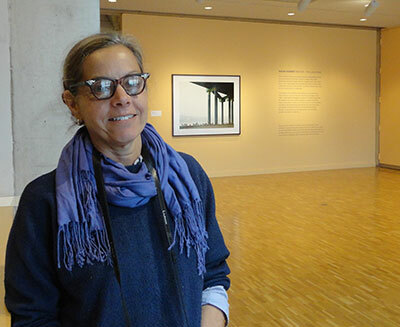 UWM Art History alumnae Lynne Shumow is the Curator of Education at the Haggerty Museum of Art at Marquette University.